For my 25th Birthday me and one of my closest friends Emma ventured off to Amsterdam for a weekend of debauchery (sort of). We did the standard Red Light District, visited some of the specialist cafes (if you know what I mean), did a canal tour, hung from Europe's highest swing and drank a lot of Heineken. 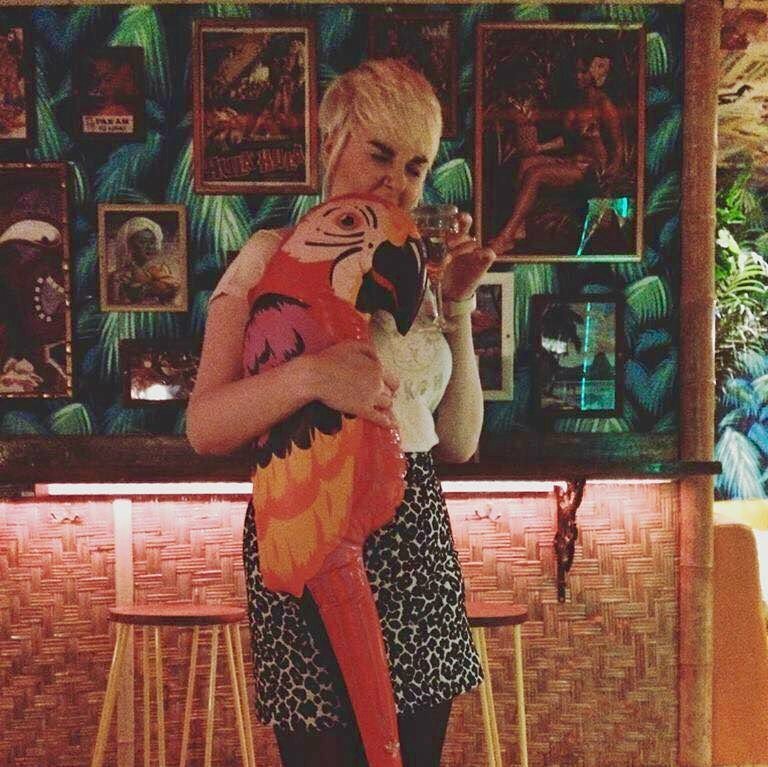 But one of my favourites and must do plans of the weekend was to visit The Avocado Show, a quirky avocado themed restaurant near the museum quarter of the Dam. 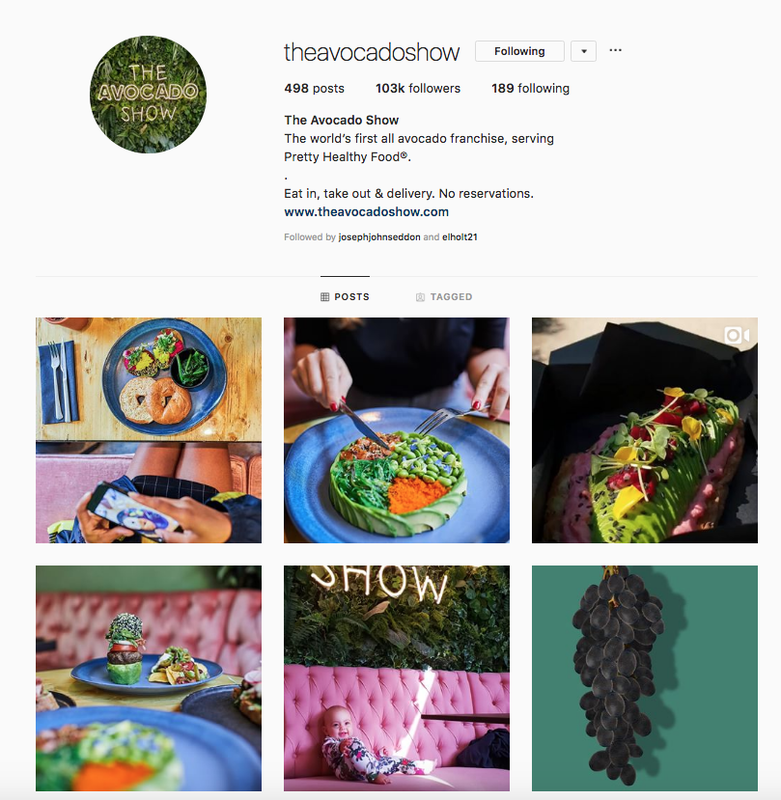 I first heard about The Avocado Show from my mate Emma who had, like many of it’s patrons, spotted it’s quirky avocado delights over on Instagram. We knew it was incredibly exclusive and as it’s website says, ‘we don’t do reservations unless you’re Rihanna’ so we rocked up dressed in our best RiRi inspired gear… Only joking, we knew to expect a reasonable waiting time. Down a cute little side street, you could see the restaurant a mile off thanks to the queue of 10+ people outside, and we obediently joined the end. Although this queue wasn’t to get in, no this was a queue to be put into the queue. After 10 minutes we got to the front, greeted by a charming Kiwi (not the fruit, he was from New Zealand) and we were placed on an electronic waiting list and would be texted ‘in an hour or so’ when a table had come free. So we took this opportunity to walk ourselves 5 minutes down the road and into the nearest bar for guess what… more heineken. After being suitably intoxicated my phone buzzed to tell us to get our bums back to the restaurant for our table. The Avocado Show doesn’t look like much from the outside and despite the glam Instagram shots we’d seen online, the inside wasn’t much to look at either. It was a small unit (they’ve since expanded into a second building) and the two person tables were crammed together so you instantly had to make friends with the couple next to you, which several beers down was a delightful prospect but perhaps not for our neighbours. Apart from a wall of plush pink booth style seats and some foliage there wasn’t much to write home about. We were passed our wooden, clipboard style menus and new instantly what we wanted having perused the online menu multiple times prior to our trip. I had the delectable THE HEART BEET ROSE, which is red beet hummus, toasted bread, pickled beets, black sesame seeds and beet leafs, served with an avocado rose on top. The first thing you notice is the level of presentation that goes into each meal, it was gorgeous, almost too gorgeous to eat… well at least until you’ve got a picture for Instagram. Secondly, it tasted amazing. For the none veggie (something they catered better for than a veggie considering it was a restaurant based around a vegetable) Emma had THE TRUFFLE TREASURE, which is smashed avocado, stacked chicken thighs, truffle mayo, parmesan cheese, radish and rocket. I can confirm she thought it was equally delicious. Another bottle of wine down and we knew we couldn’t leave until we’d tried the Avo Ice Cream, purely so we could say we’d had it. THE LATEST SCOOP two cones of avocado greatness: avocado ice cream on a black cone. Now, I imagine this would make a great Halloween party treat but in reality, it wasn’t great. It was a bit tasteless and reminded me of a sweetened green tea, but again it looked super cool. All in all, if you’re going for the experience and you’re not massively hungry then I’d recommend visiting The Avocado Show on your next visit to Amsterdam. If you’re really hungry and want to eat you weight in delicious food, I’d probably recommend somewhere else, and like everywhere in Amsterdam, it’s not cheap, my glorified avocado on toast was 9.50. The full service experience open from 09:00 to 17:00. It’s first come first served so no reservations. They accept card payments only, so no cash. Maybe diamonds. Check out their website for more info!! 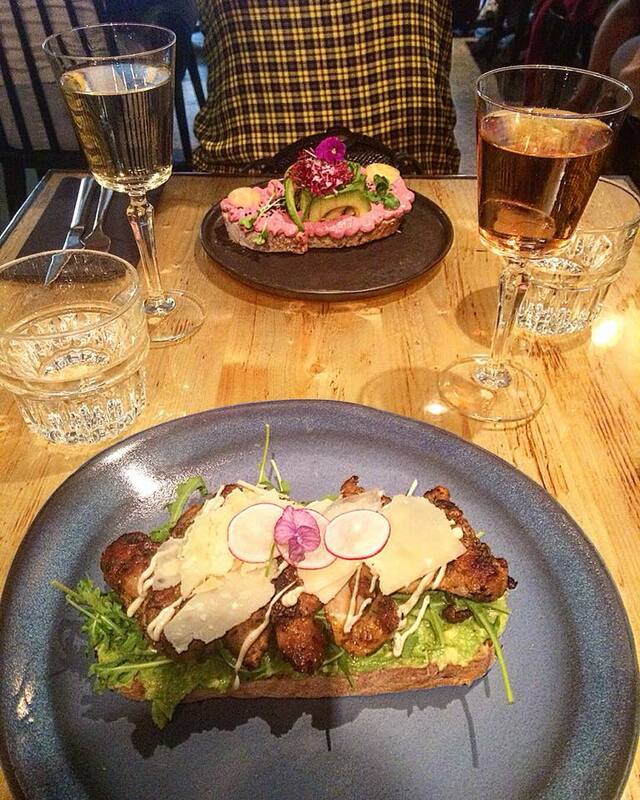 Where do you recommend to eat in Amsterdam? Oh my god that truffle and avo dish sounds incredible! I had no idea this place existed, it's on my list for next time.